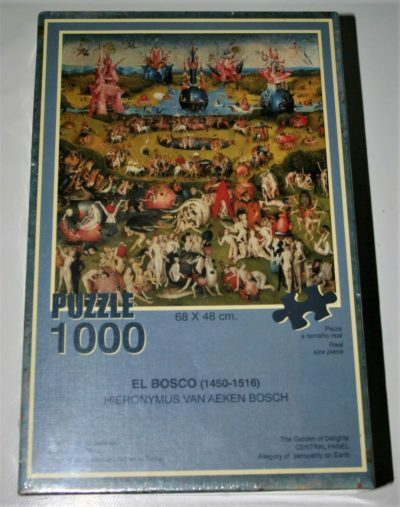 Ravensburger manufactured this extraordinary jigsaw puzzle in 1983. It is very difficult to find today, even more with the BAGS SEALED, like this one. The Temptation of Saint Anthony, by Hieronymus Bosch. 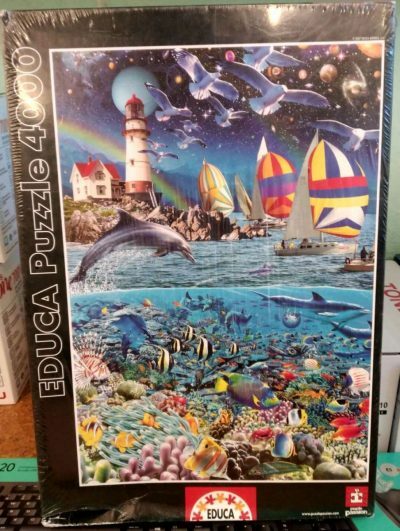 This puzzle was the first one with 12000 pieces, and the largest fine art jigsaw puzzle available for a long time. In fact, Ravensburger has not published a larger fine art puzzle after this one. The puzzle is like NEW with all the pieces SEALED inside the original plastic bags. The box has some shelf wear, and it has reinforcing tape, but it is in quite good condition. The poster is in excellent condition. Art Stones has a 2000 version with this same topic, and there is another 2000 version by Ricordi. Box size: 50 x 36 x 14 cm. Reference number: 625 5 949 7. Other titles: Die Versuchung des hl. 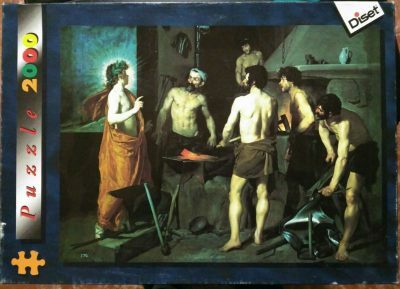 Antonius; Tentation de Saint Antoine; La Tentazione di Antonio; De Beproeving van St. Antonius.